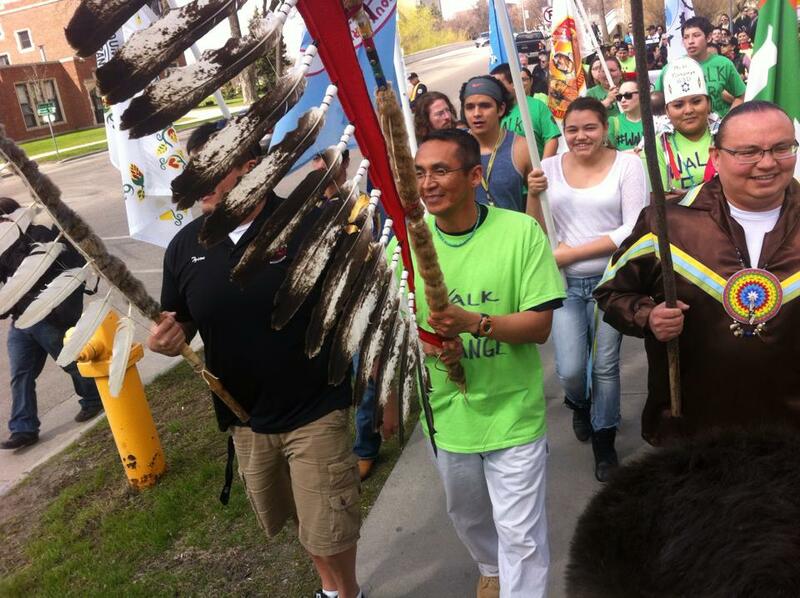 Today’s episode focuses on the Walk for Change at UND, a Native American organized event that was created in response to a variety of racist and insensitive incidents at UND. At the end of the walk organizers put forward a number of demands to the UND administration and laid out the consequence if these demands were not met by December 2014. For more on this and the larger context at UND we turn to Native American UND alumnae Dani Miller and Emmy Scott. Thanks for listening, I hope you enjoyed this episode. Stay tuned for next week’s interview! This entry was posted in Podcast and tagged Native American, Native American Logos, Native American Mascots, Siouxper Drunk, UND, University of North Dakota. Bookmark the permalink.